Recognized as one of America’s Best Lawyers for more than 20 years, Attorney Richard Glassman is a respected and frequently sought-after speaker by educational institutions and professional organizations on a range of topics including Attorney Legal Malpractice, Pitfalls, Ethics, Attorney Client Relationship, mentoring, and more. As Senior Shareholder and President of Glassman, Wyatt, Tuttle & Cox, P.C., a civil litigation law firm based in Memphis, Tennessee and serving Tennessee, Mississippi and Arkansas, Glassman serves as lead trial counsel in the majority of the firm’s largest, most high profile, and most complex matters. Having tried more than 250 jury trials as lead counsel, he is considered one of the region’s finest trial lawyers and serves as an expert on a variety of legal topics. Glassman has defended attorneys at all stages of Legal Malpractice lawsuits, including pre-suit, litigation, and appeal. In addition, he has obtained both public and confidential settlements on behalf of seriously injured persons involving medical malpractice, birth injury, birth trauma, wrongful death and serious personal injury. Glassman has prosecuted and defended claims against and on behalf of businesses both small and large, in state and federal courts in Tennessee, Arkansas, and Mississippi. Glassman’s court admissions include: U.S. Supreme Court (1982), Tennessee Supreme Court (1972), Arkansas Supreme Court (2012), Mississippi Supreme Court (2012), U.S. Court of Appeals, Sixth Circuit (1976), U.S. Court of Appeals, Fifth Circuit (2012), U.S. District Court, Western District of Tennessee (1972), U.S. District Court, Middle District of Tennessee (2006), U.S. District Court, Eastern & Western Districts of Arkansas (1981), and the U.S. District Court, Northern & Southern Districts of Mississippi (2012). The Glassman family members are dedicated community volunteers and advocates who have supported many charities, associations, and projects over the past 40 years. Since 1997, Glassman has been a “Big Brother” to William Terrell through Big Brothers/Big Sisters of Greater Memphis. He has also served as the annual fund-raising chairperson for BBBS on two occasions and as a board member for many years. Glassman believes strongly in giving back to the community and supporting those in need. 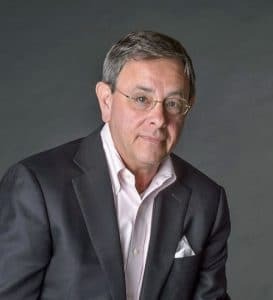 Born and raised in Memphis, Glassman is a graduate of the University of Memphis (previously Memphis State University) and the University of Memphis Cecil C. Humphreys School Of Law, where he serves on the Law Alumni Board as President. Glassman has previously served as an Adjunct Professor of Insurance Law at the University of Memphis School of Law, is a Former Member of the University of Memphis National Alumni Association Board, served as National President of University of Memphis National Alumni Association and as a Member of the University Of Memphis Board Of Visitors, and he is an avid supporter of Memphis Tigers Athletics. In 2012, upon the school’s 100th Anniversary, the University recognized him with the Distinguished Alumnus Award. Richard Glassman is a consummate professional who will represent himself and your company/outlet/publication/broadcast in the highest regard and with the utmost respect.